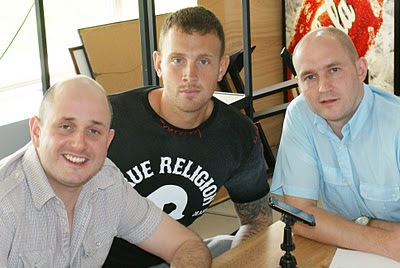 The eighth ‘From the Rookery End’ podcast is out now, and what a cracker it is! Recorded ‘on location’ as we ventured to Wales for Watford’s recent clash with Cardiff, this episode includes an interview with our defensive rock Martin Taylor, a catch up with new loan star Andros Townsend as well as an opposition view from Cardiff and England striker Jay Bothroyd. Ho ho ho… Merry Christmas! Our 7th Podcast is a Christmas special. We passed 10,000 downloads in the last month and Mike, Jason and I wanted to give you a very special Christmas present. And here it is… our exclusive and extensive interview with Watford Manager Malky Mackay. Whilst none of us are getting any younger, the same can’t be said for the average age of the Watford FC squad. In the latest From The Rookery End podcast Jason, Jon and Mike take a look at the Youth set up at Watford. 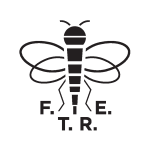 Watford’s spectacular winning run may have come to an end against Swansea this week, but the perfect tonic for downhearted Hornets fans is now available – the fourth ‘From the Rookery End’ podcast is now available to download! International fixtures mean there is no Watford game this weekend, but Hornets fans need not despair. Supporters can still get their Watford fix via the latest ‘From the Rookery End’ podcast, which is out today. The new season is here (very exciting) and so is the new From The Rookery End Podcast (kind of exciting). Mike, Jason and Jon return with their second podcast and what a packed podcast it is. On this podcast you’ll hear our irreverent look back at the season along with some of your “One Word Season’s”. There’s the glitz and the glam of the “From The Rookery End, End of Season Awards”. Danny Graham and Henri Landsbury will be talking to us about their season at Watford. Plus you’ll meet the Watford Wannabe WAGS and hear Jon’s special apology to Lloyd Doyley.